When its time to get down to it and boogie, Corporate AV, LLC is here to help. From lights on the dance floor to sound systems that can shake the walls until the cops come. 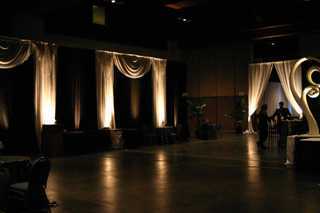 Or for the corporate client, elegant décor, pattern lights, and LED accent lights. Corporate AV, LLC has a design to meet whatever need or theme your party has.